Lowering to an impressive height of just 7.1cm the Accora FloorBed is the lowest bed in its class. Fully profling and includes delivery and installation. The Accora FloorBed lowers to a staggering 7.1cm making it the lowest bed in its class currently on the market. 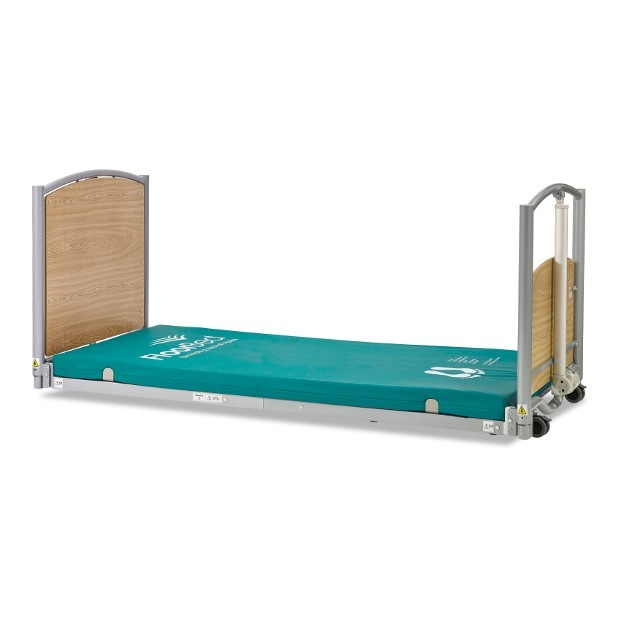 It features all the functions of a standard profiling bed including electric backrest, and knee break plus tilt and reverse tilt positioning as required and can rise to an impressive height of 64cm. The FloorBed offers the benefit of greatly reducing the risk of injury from falls and reduces the requirement for bed rails. The price includes delivery and installation. Delivery of this product will be made directly from the manufacturer in approximately 1-2 weeks.